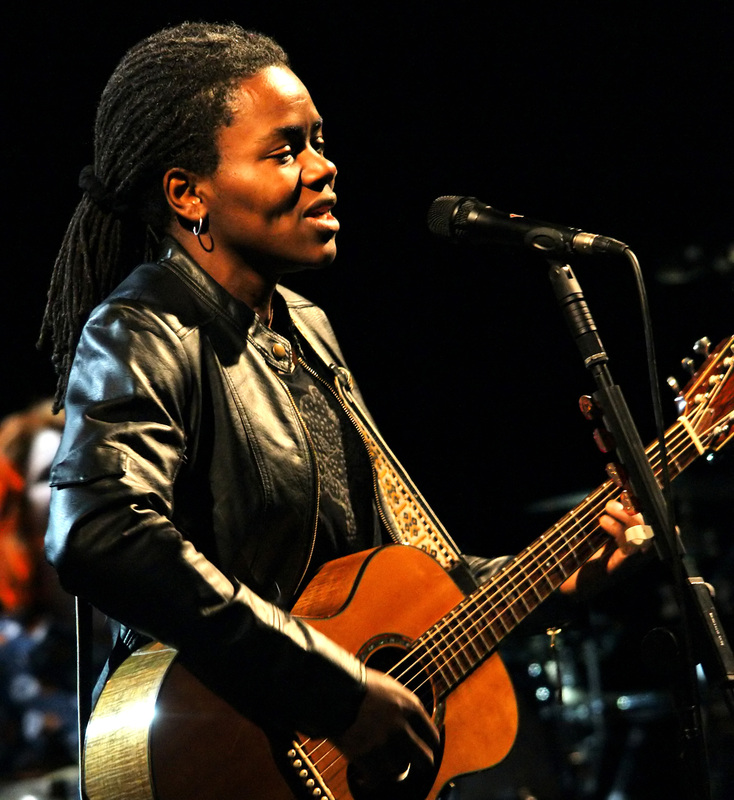 Following a wrenchingly poor childhood and a hard-won scholarship, Tracy Chapman was hit by stardom right after graduating from college, when her 1988 self-titled debut album sold 10 million copies. This according to “Telling her stories” by Christopher John Farley (Time CLV/8 [28 February 2000] p. 92). Today is Chapman’s 50th birthday! Above, the singer-songwriter in Bruges in 2009; below, performing one of the songs from her debut album at the Nelson Mandela 70th Birthday Tribute in 1988, effectively jump-starting the first leg of her career.